Anything gut on German telly? 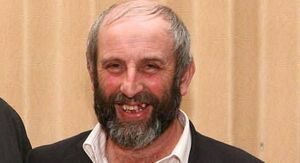 German TV station Spiegel is spending four days with Danny Healy-Rae to document his “passion” and support for rural dwellers. A three-man Hamburg-based TV crew also captured Mr Healy-Rae’s contributions at yesterday’s monthly meeting of the county council. Mr Lehberger said he was impressed by Mr Healy-Rae and, particularly, his passion about representing rural people. Posted in News and tagged Danny Healy-Rae, Drink Driving at 11:01 am on May 21, 2013 by Admin.